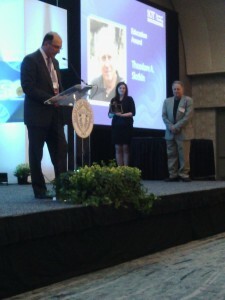 Here in the Superfund Research Center and the Integrated Toxicology and Environmental Health Program, we are celebrating Dr. Theodore Slotkin for his recently received, Society of Toxicology Education Award. To commemorate this accomplishment, we sat down to chat with Ted about some of his fondest memories in 45 years at Duke University. Ted Slotkin completed his dissertation defense at the University of Rochester the day before his 23rd birthday. He came to Duke University for a Post-Doc in Norman Kirshner’s lab, who at the time was the head of the Pharmacology Dept. After Dr. Kirshner experienced a family tragedy, Dr. Slotkin was asked to take over his laboratory and teaching on an interim basis. So, he did! A few months later, he was hired as a tenure-track faculty member…at the age of 24. What are your favorite memories in 45 years of working at Duke? There were some pretty remarkable people when I got here. Frederick and Molly Bernheim, were two of the original faculty members of Duke University Medical Center. When I got here, Frederick was within 5 years of retirement. He was the first Duke faculty member nominated for the Nobel Prize for developing the drugs to treat tuberculosis and Molly was the discoverer of monoamine oxidase, the enzyme that metabolizes the monoamine transmitters; her finding gave birth to the field of psychopharmacology. The other truly remarkable person was Henry Kamin, who was a professor of biochemistry for many years. Henry was originally a refugee from Europe in the 1920’s and became one of the most prominent biochemists in the field of drug metabolism – virtually the father of the field. He took the time to mentor me in how to write NIH grants, even though I wasn’t in his lab or affiliated with him in any way. When I started at Duke, one of my first efforts was to change the way Pharmacology was taught. For example, we had Medical School Pharmacology with a lot of lectures and slide shows, and I decided to add live demonstrations with animals. I developed a presentation called, “The Smoking Cat”. We had a cat with a tracheostomy tube smoke a cigarette and we’d look at blood pressure and heart rate with various stimuli, all in real-time in the lecture hall. I thought it was very instructive because the students got to see the physiological responses right in front of them; and of course, things didn’t always work the way they were supposed to! Some of my favorite memories are the “quirky” ones. From the outset, I was also asked to create a Pharmacology course for the newly-created Physicians’ Associates program, people who weren’t going to graduate or medical school. For the lecture combining Herbals and Drug Abuse, I dressed up as a yogi with love beads and a Santa Claus beard, I set up a hot plate with some “weed” on it, and blew the smoke out over the audience while I was lecturing. Some of my antics led to my getting a letter of criticism from the Dean of the Medical School about my teaching techniques. I responded by asking him how the medical students did on the part of their board exams that I had taught, knowing that they did the best on that section, and indicating that, whatever I was doing was working. We eventually compromised by my not teaching medical students after that. Apparently graduate students aren’t as easily offended. Another memorable event (and lesson in politics) was related to the fact that I was one of the first scientists to look at the adverse effects of nicotine on brain development, work that I would typically present at meetings centered around Drug Abuse. At one point, I received a letter from the office of North Carolina Senator Jessie Helms, asking me to stop referring to tobacco as a drug of abuse because “tobacco is actually a botanical product of considerable economic interest to citizens of the state of North Carolina”. I wrote back, “And if you’re from Colombia, so is cocaine!” He got even with me when I had a student from China whose visa was held up for six months. Lesson learned. What are some of your proudest career accomplishments? When I first arrived at Duke there wasn’t a Pharmacology Department – there was Physiology and Pharmacology, with Pharmacology very much the junior partner. I was asked to create a graduate program in Pharmacology preparatory to the creation of an independent department. After a few years, I performed the same task to set up the graduate program in toxicology. I am very proud of that. I think over the years, both programs have flourished. And I am still very heavily involved – I teach two of the required courses of both programs. Usually statisticians and basic science researchers don’t communicate effectively, so I created a statistics course that actually works, at least as evidenced by the fact that it is oversubscribed three semesters in advance.. I had to expand the offering to three sessions per semester in both Fall and Spring, and I can’t seem to catch up to the demand, which proves that either students are fooled into believing that they can actually learn something from me, or the course fills that unique niche. I am really proud of the fact that every one of my PhD students finished after only four years in graduate school, each with a minimum of four first-author papers. I work hard at being an effective mentor and figuring out what kinds of research projects lend themselves best to teaching a student how to be a scientist. When I was an undergraduate, like all undergraduates who wanted to go into science, I did a project with a professor at my college. In retrospect, it was a terrible project to give to someone who had no lab experience; it had no chance of working if you weren’t skilled at those lab techniques. I really learned from that. The purpose of a project is to train a student in how to think and perform, how to design experiments properly, and solve problems. The main point is to learn to think like a scientist. Mastery of technical skills is the least important thing in graduate training. Because once you are successful, you will be sitting in the office in front of a computer, telling other people what to do. You are being paid for your brains, not your hands. I have published 564 peer-reviewed papers. It can be looked at as a little over a paper a month for a period of 45 years. I’ve got a bunch of awards for my research from major scientific societies, as well as two awards for my teaching, one from Duke and the one from SOT that I am going to pick up this Sunday. I think the most important thing is the impact of my research on public health. In the long run, I care about whether my research predicts what happens in the real world – that it has a translational impact on people’s lives. The last four US Surgeon General’s reports on tobacco each quoted major sections of my work and took figures out of my papers. My research on pesticides led to major regulatory changes by the EPA to restrict the impact on pregnant women and children. My work on drugs used in preterm labor led to an FDA “black box” warning that changed drug therapy. My work on pesticides also serves as a good lesson not to get discouraged by bad reviews of your work –when I first submitted my grants in this area, I was blasted by reviews that stated there was no way those commonly-used chemicals can be human health hazards. After four years of research in my lab, those same pesticides were restricted specifically because of the research we did on them without the grant funding – I utilized my in-house funds and money from consulting to get the science done. Finally, I was involved in the safety hearings for the proposed use of methyliodide as a new agricultural fumigant. My testimony was a main reason that it was withdrawn from use in the US. Those are all real-world impacts that I think every toxicologist would like to see come out of his or her research. What do you find most rewarding in teaching, mentoring, and training students? I can see when students “get it”. I teach topics that are either (a) the most boring or (b) the most complicated. When the light goes on in a student’s head, that makes me feel good. That’s the reward for a teacher. I really enjoy mentoring. There are people on the Duke faculty that I’ve taught; my own trainees are all over the world, in government agencies, department heads at other universities, and major players in industry. That’s the real reward in that role: watching your “children” go out and flourish. What tips do you have for students interested in pursuing academia? First, I will tell you why I hate to give advice. As an undergrad I was handed a project that had no chance of working, at the end of the year in this guy’s lab he pulled me aside and said “you have absolutely no talent in science and you should go into the humanities”. In the end, I made full professor before he did. I do not believe that I, as your mentor and teacher, can give you advice that is meaningful. My perception of your talents and what you can do may be completely off base. You will figure it out, whether I give you advice or not. But nevertheless I will give this advice: don’t respect authority. That’s what science is good for. Someone says something and it’s all right to destroy it – it’s your DUTY to destroy it – because that’s how progress is made. Most of the things we think are correct aren’t, and when you get results that go against that, even if it is your mentor’s pet idea, then the pet idea is wrong. There’s nothing more satisfying than a beautiful hypothesis destroyed by cold, cruel, scientific facts. Don’t be scared off by whining mentors. In spite of discouraging talk about funding, university job openings, the publication process, etc., if you want to go in to academia, give it a try. Everyone has doubts about their abilities, but if you are good at it, you will succeed. And after 45 years, I certainly endorse an academic career as the most enjoyable possible way to spend your life. What do you love about working at Duke? What makes Duke unique in my experience is first and foremost, the quality of students and Post-Docs. There are less-talented people trying to go into science but in general, they’re not here at Duke. I’ve had students bring projects into my lab that were solely their ideas, and their ideas have changed the direction of my research. I don’t think that happens at most institutions. Here, it’s not just mentor-down-to-student learning, it’s a mentor-student two-way street. I also really liked the cultural diversity of students at an institution like Duke. It’s common now to have students from all over the world, but when I started my lab in the 1970’s I had one of the first “United Nations” of labs! At one point, I had every continent represented in my lab except Australia. I won’t count Antarctica (nobody lives there.) I had Palestinian and Israeli scientists simultaneously, during a war! I train them in science, but they train me in cultural diversity. One more thing about Duke is that I only live ten minutes away from the lab. If something goes wrong, I can just come right in! I have a forest in my backyard and I’m still in the city of Durham. I bought the land around my house and made it into a nature preserve. There aren’t too many major medical centers where you can have that life-style. What progress do you hope to see in your field? Stop giving-in to fads: One of the problems right now is that people jump from one scientific fad to the next. In toxicology the popular “new” idea is how can we stop using animals, how can we do things quicker and with less work? And the answer is you can’t! There is no “quick and cheap” way to scientific findings, and slow but certain is okay. “Omics,” epigenetics, computational biology, they are all great tools, but they will not replace blood & guts science. And money keeps getting diverted to the hottest, “happening now” technique whereas such diversion actually slows progress. Translation to public policy: We, as scientists, tend to lock ourselves up in lab and do our little experiments. I’d like to see people translate their lab findings into regulatory decisions. The solution to environmental toxicology doesn’t lie just in finding the things that are “bad,” but in making the people who make the rules and regulations realize that the burden of proof of safety should be on the manufacturers, not on the victims who have been injured, especially since the manufacturers are equipped with a lot better resources for those investigations. A focus on remediation as well as prevention I’d like to see a shift of focus from identifying how bad things are to how we can fix it. Mark Twain had his famous line “Everyone talks about the weather but nobody does anything about it”. When we ban a chemical, the research on it stops, while the injury done by that chemical persists in the environment and the affected people for decades. What can we do to offset the adverse effects of environmental damage? Very little research efforts have been made on those areas. When you’re not in the lab or making a difference in the life of a future scientist, where do you like to go or what do you like to do? My wife and I are celebrating our 48th wedding anniversary this Summer by going on a trip to Slovakia and to Scotland with family. Family is always first! I also enjoy travelling, hiking, and cooking. My major diversion is music – I play harpsichord, clavichord and guitar, and I try to set aside time every single day to practice. 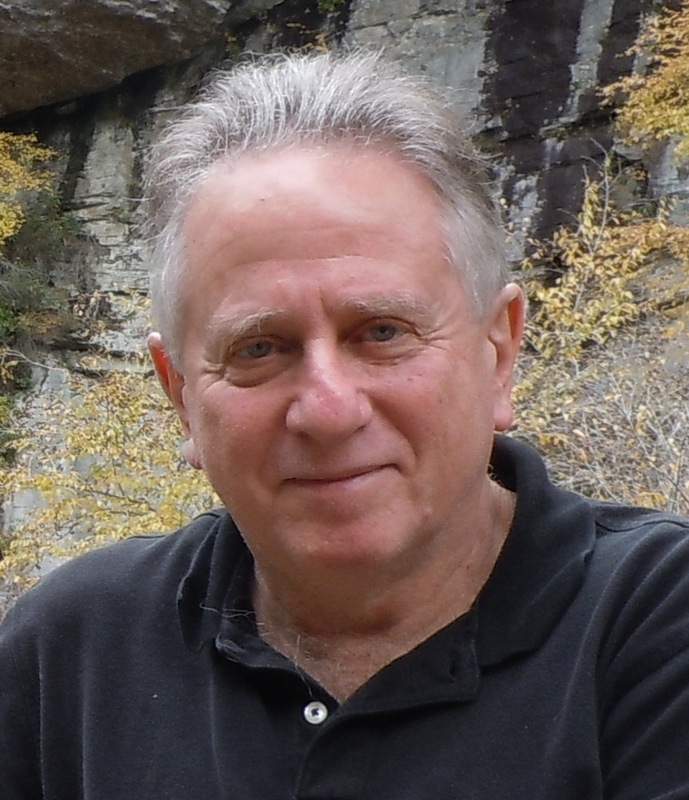 Theodore A. Slotkin, PhD, is the 2015 SOT Education Award recipient. 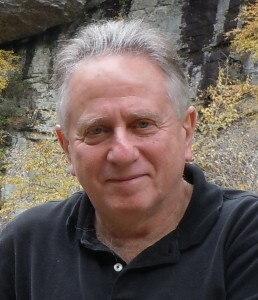 Dr. Slotkin has made impressive and significant contributions to education through his use of conventional and unconventional teaching techniques, including open discussions of current literature, of lay media, and of students’ own research projects. Through classroom conversations, he ensures that students learn the requisite subject areas but always within a framework of critical evaluation of hypotheses and experimental outcomes. Dr. Slotkin has devoted significant effort and time to developing new courses and new curricula, including Essentials of Pharmacology, Toxicology and Drug Design, and Experimental Design and Biostatistics for Basic Biomedical Scientists. His ability to teach mathematical concepts to biologists is the hallmark of his success. With a career that spans four decades, he has had a major impact, having taught thousands of students, and personally trained 26 undergraduates, 31 PhD students, and 23 postdoctoral researchers and visiting scientific scholars in his laboratory far beyond the requirements of his teaching duties. In many cases these trainees have gone on to successful careers in industry, government, and academia due in no small part to Dr. Slotkin’s influence. He has played integral roles in curriculum development for the Pharmacology PhD Program, the Integrated Toxicology and Environmental Health PhD program, and the Undergraduate Pharmacology Curriculum for Biology and Chemistry Majors. These are in addition to the key role he has played in other training programs, including those in Cell and Molecular Biology, Neurosciences, Pharmacological Sciences, and MD/PhD. Dr. Slotkin received his PhD from the University of Rochester in 1970. Currently, he serves as Professor in the Departments of Pharmacology and Cancer Biology, Psychiatry and Behavioral Sciences, and Neurobiology, as well as the Integrated Toxicology Program at the Duke University Medical Center. Dr. Slotkin received a Board of Publications Best Paper Award in 1996 and has been a member of SOT since 1997. The Society is pleased to present Dr. Slotkin with the 2015 Education Award.